Workshops, plants and manufacturing facilities frequently duct contaminated air into baghouses in order to remove the particles from the work environment and safely contain them. Baghouses are usually the first choice, when it comes to selecting dust collection equipment for a variety of industries. 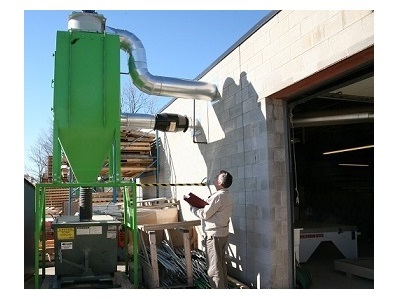 This is a particularly popular option for controlling particulate emissions in hot mix asphalt plant. They are popular due to their ease of operation and cost effectiveness. Another reason baghouses are the main choice for such equipment is because they help companies comply with pollution codes while also providing economic advantages over other options. They also return the dust to the mix rather than wasting it as scrubbers do, which means they better use the aggregate. Baghouses are also more flexible/portable and do not require as much horsepower as other devices. However, some limitations to be aware of when it comes to baghouses are limitations in regard to exhaust temperatures, potential hydrocarbon contamination, and the removal of gaseous pollutants. In cases such as these, a scrubber may be a better choice. If you are in the market for dust collecting equipment, it is crucial to be sure to do your research and consider each aspect of your operations. This will simplify your shopping experience and make the whole process move more smoothly and quickly. There are many different products and pieces of equipment that are built to complete similar functions and the slight differences are important to evaluate in order to be sure that you are getting the most appropriate device, at the best price, to suit your unique needs. When it comes to emissions and dust control, it is important to have quality equipment that will protect your workers, your local air quality and the entire planet. Contact a supplier of baghouses and other dust collecting equipment today for more detailed information about these products and house they can best suit you. 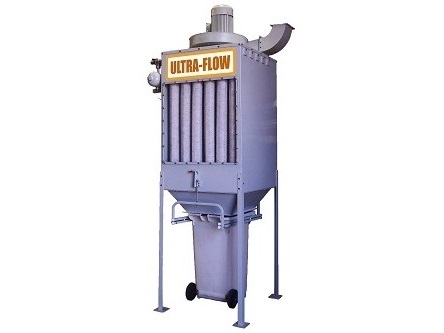 Baghouse Baghouses are dust collection units containing fabric filters that capture dust particles as air flows through them.